180:0.2 “You well remember when I sent you forth without purse or wallet and even advised that you take with you no extra clothes. And you will all recall that you lacked nothing. But now have you come upon troublous time. No longer can you depend upon the good will of the multitudes. Henceforth, he who has a purse, let him take it with him. When you go out into the world to proclaim this gospel, make such provision for your support as seems best. I have come to bring peace, but it will not appear for a time. 180:1.1 After a few moments of informal conversation, Jesus stood up and said: “When I enacted for you a parable indicating how you should be willing to serve one another, I said that I desired to give you a new commandment; and I would do this now as I am about to leave you. You well know the commandment which directs that you love one another; that you love your neighbor even as yourself. But I am not wholly satisfied with even that sincere devotion on the part of my children. I would have you perform still greater acts of love in the kingdom of the believing brotherhood. And so I give you this new commandment: That you love one another even as I have loved you. And by this will all men know that you are my disciples if you thus love one another. 180:1.2 “When I give you this new commandment, I do not place any new burden upon your souls; rather do I bring you new joy and make it possible for you to experience new pleasure in knowing the delights of the bestowal of your heart’s affection upon your fellow men. I am about to experience the supreme joy, even though enduring outward sorrow, in the bestowal of my affection upon you and your fellow mortals. 180:1.3 “When I invite you to love one another, even as I have loved you, I hold up before you the supreme measure of true affection, for greater love can no man have than this: that he will lay down his life for his friends. And you are my friends; you will continue to be my friends if you are but willing to do what I have taught you. You have called me Master, but I do not call you servants. If you will only love one another as I am loving you, you shall be my friends, and I will ever speak to you of that which the Father reveals to me. 180:1.6 Keep in mind: It is loyalty, not sacrifice, that Jesus demands. The consciousness of sacrifice implies the absence of that wholehearted affection which would have made such a loving service a supreme joy. The idea of duty signifies that you are servant-minded and hence are missing the mighty thrill of doing your service as a friend and for a friend. The impulse of friendship transcends all convictions of duty, and the service of a friend for a friend can never be called a sacrifice. The Master has taught the apostles that they are the sons of God. He has called them brethren, and now, before he leaves, he calls them his friends. 180:2.1 Then Jesus stood up again and continued teaching his apostles: “I am the true vine, and my Father is the husbandman. I am the vine, and you are the branches. And the Father requires of me only that you shall bear much fruit. The vine is pruned only to increase the fruitfulness of its branches. Every branch coming out of me which bears no fruit, the Father will take away. Every branch which bears fruit, the Father will cleanse that it may bear more fruit. Already are you clean through the word I have spoken, but you must continue to be clean. You must abide in me, and I in you; the branch will die if it is separated from the vine. As the branch cannot bear fruit except it abides in the vine, so neither can you yield the fruits of loving service except you abide in me. Remember: I am the real vine, and you are the living branches. He who lives in me, and I in him, will bear much fruit of the spirit and experience the supreme joy of yielding this spiritual harvest. If you will maintain this living spiritual connection with me, you will bear abundant fruit. If you abide in me and my words live in you, you will be able to commune freely with me, and then can my living spirit so infuse you that you may ask whatsoever my spirit wills and do all this with the assurance that the Father will grant us our petition. Herein is the Father glorified: that the vine has many living branches, and that every branch bears much fruit. And when the world sees these fruit-bearing branches—my friends who love one another, even as I have loved them—all men will know that you are truly my disciples. 180:2.3 The Jews had long taught that the Messiah would be “a stem arising out of the vine” of David’s ancestors, and in commemoration of this olden teaching a large emblem of the grape and its attached vine decorated the entrance to Herod’s temple. 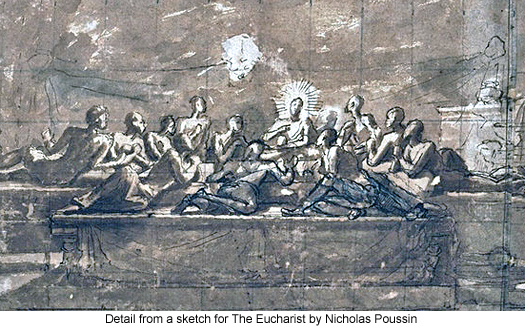 The apostles all recalled these things while the Master talked to them this night in the upper chamber. 180:2.4 But great sorrow later attended the misinterpretation of the Master’s inferences regarding prayer. There would have been little difficulty about these teachings if his exact words had been remembered and subsequently truthfully recorded. But as the record was made, believers eventually regarded prayer in Jesus’ name as a sort of supreme magic, thinking that they would receive from the Father anything they asked for. For centuries honest souls have continued to wreck their faith against this stumbling block. How long will it take the world of believers to understand that prayer is not a process of getting your way but rather a program of taking God’s way, an experience of learning how to recognize and execute the Father’s will? It is entirely true that, when your will has been truly aligned with his, you can ask anything conceived by that will-union, and it will be granted. And such a will-union is effected by and through Jesus even as the life of the vine flows into and through the living branches. 180:2.5 When there exists this living connection between divinity and humanity, if humanity should thoughtlessly and ignorantly pray for selfish ease and vainglorious accomplishments, there could be only one divine answer: more and increased bearing of the fruits of the spirit on the stems of the living branches. When the branch of the vine is alive, there can be only one answer to all its petitions: increased grape bearing. In fact, the branch exists only for, and can do nothing except, fruit bearing, yielding grapes. So does the true believer exist only for the purpose of bearing the fruits of the spirit: to love man as he himself has been loved by God—that we should love one another, even as Jesus has loved us. 180:2.6 And when the Father’s hand of discipline is laid upon the vine, it is done in love, in order that the branches may bear much fruit. And a wise husbandman cuts away only the dead and fruitless branches. 180:2.7 Jesus had great difficulty in leading even his apostles to recognize that prayer is a function of spirit-born believers in the spirit-dominated kingdom. 180:3.2 “Many of those who will assail you are ignorant of the light of heaven, but this is not true of some who now persecute us. If we had not taught them the truth, they might do many strange things without falling under condemnation, but now, since they have known the light and presumed to reject it, they have no excuse for their attitude. He who hates me hates my Father. It cannot be otherwise; the light which would save you if accepted can only condemn you if it is knowingly rejected. And what have I done to these men that they should hate me with such a terrible hatred? Nothing, save to offer them fellowship on earth and salvation in heaven. But have you not read in the Scripture the saying: `And they hated me without a cause’? 180:3.3 “But I will not leave you alone in the world. Very soon, after I have gone, I will send you a spirit helper. You shall have with you one who will take my place among you, one who will continue to teach you the way of truth, who will even comfort you. 180:3.10 As the Master went aside to refresh himself with water, the eleven engaged in a spirited discussion of these teachings, and Peter was beginning to deliver himself of an extended speech when Jesus returned and beckoned them to be seated. 180:4.1 Jesus continued to teach, saying: “When I have gone to the Father, and after he has fully accepted the work I have done for you on earth, and after I have received the final sovereignty of my own domain, I shall say to my Father: Having left my children alone on earth, it is in accordance with my promise to send them another teacher. And when the Father shall approve, I will pour out the Spirit of Truth upon all flesh. Already is my Father’s spirit in your hearts, and when this day shall come, you will also have me with you even as you now have the Father. 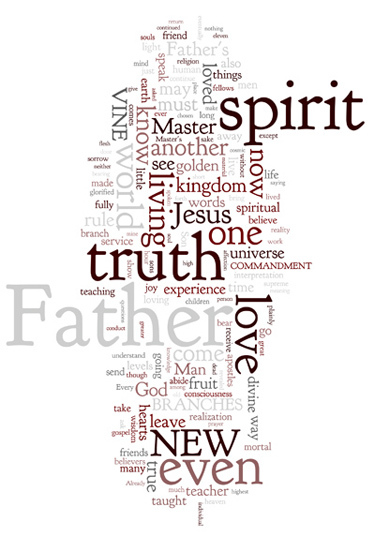 This new gift is the spirit of living truth. The unbelievers will not at first listen to the teachings of this spirit, but the sons of light will all receive him gladly and with a whole heart. And you shall know this spirit when he comes even as you have known me, and you will receive this gift in your hearts, and he will abide with you. You thus perceive that I am not going to leave you without help and guidance. I will not leave you desolate. Today I can be with you only in person. In the times to come I will be with you and all other men who desire my presence, wherever you may be, and with each of you at the same time. Do you not discern that it is better for me to go away; that I leave you in the flesh so that I may the better and the more fully be with you in the spirit? 180:4.2 “In just a few hours the world will see me no more; but you will continue to know me in your hearts even until I send you this new teacher, the Spirit of Truth. As I have lived with you in person, then shall I live in you; I shall be one with your personal experience in the spirit kingdom. And when this has come to pass, you shall surely know that I am in the Father, and that, while your life is hid with the Father in me, I am also in you. I have loved the Father and have kept his word; you have loved me, and you will keep my word. As my Father has given me of his spirit, so will I give you of my spirit. And this Spirit of Truth which I will bestow upon you shall guide and comfort you and shall eventually lead you into all truth. 180:4.6 Judas Alpheus did not fully understand what the Master said, but he grasped the promise of the new teacher, and from the expression on Andrew’s face, he perceived that his question had been satisfactorily answered. 180:5.2 Divine truth is a spirit-discerned and living reality. Truth exists only on high spiritual levels of the realization of divinity and the consciousness of communion with God. You can know the truth, and you can live the truth; you can experience the growth of truth in the soul and enjoy the liberty of its enlightenment in the mind, but you cannot imprison truth in formulas, codes, creeds, or intellectual patterns of human conduct. When you undertake the human formulation of divine truth, it speedily dies. Post-mortem salvage of imprisoned truth, even at best, can eventuate only in the realization of a peculiar form of intellectualized glorified wisdom. Static truth is dead truth, and only dead truth can be held as a theory. Living truth is dynamic and can enjoy only an experiential existence in the human mind. 180:5.5 The golden rule, when divested of the superhuman insight of the Spirit of Truth, becomes nothing more than a rule of high ethical conduct. The golden rule, when literally interpreted, may become the instrument of great offense to one’s fellows. Without a spiritual discernment of the golden rule of wisdom you might reason that, since you are desirous that all men speak the full and frank truth of their minds to you, you should therefore fully and frankly speak the full thought of your mind to your fellow beings. Such an unspiritual interpretation of the golden rule might result in untold unhappiness and no end of sorrow. 180:5.9 This same philosophy of the living flexibility and cosmic adaptability of divine truth to the individual requirements and capacity of every son of God, must be perceived before you can hope adequately to understand the Master’s teaching and practice of nonresistance to evil. The Master’s teaching is basically a spiritual pronouncement. Even the material implications of his philosophy cannot be helpfully considered apart from their spiritual correlations. 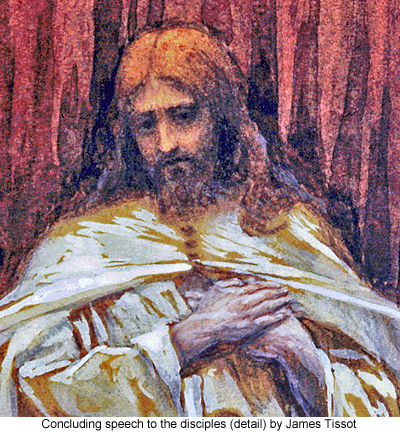 The spirit of the Master’s injunction consists in the nonresistance of all selfish reaction to the universe, coupled with the aggressive and progressive attainment of righteous levels of true spirit values: divine beauty, infinite goodness, and eternal truth—to know God and to become increasingly like him. 180:5.10 Love, unselfishness, must undergo a constant and living readaptative interpretation of relationships in accordance with the leading of the Spirit of Truth. Love must thereby grasp the ever-changing and enlarging concepts of the highest cosmic good of the individual who is loved. And then love goes on to strike this same attitude concerning all other individuals who could possibly be influenced by the growing and living relationship of one spirit-led mortal’s love for other citizens of the universe. And this entire living adaptation of love must be effected in the light of both the environment of present evil and the eternal goal of the perfection of divine destiny. 180:5.12 And all this clearly indicates the difference between the old religion and the new. The old religion taught self-sacrifice; the new religion teaches only self-forgetfulness, enhanced self-realization in conjoined social service and universe comprehension. The old religion was motivated by fear-consciousness; the new gospel of the kingdom is dominated by truth-conviction, the spirit of eternal and universal truth. And no amount of piety or creedal loyalty can compensate for the absence in the life experience of kingdom believers of that spontaneous, generous, and sincere friendliness which characterizes the spirit-born sons of the living God. Neither tradition nor a ceremonial system of formal worship can atone for the lack of genuine compassion for one’s fellows. 180:6.1 After Peter, James, John, and Matthew had asked the Master numerous questions, he continued his farewell discourse by saying: “And I am telling you about all this before I leave you in order that you may be so prepared for what is coming upon you that you will not stumble into serious error. The authorities will not be content with merely putting you out of the synagogues; I warn you the hour draws near when they who kill you will think they are doing a service to God. And all of these things they will do to you and to those whom you lead into the kingdom of heaven because they do not know the Father. They have refused to know the Father by refusing to receive me; and they refuse to receive me when they reject you, provided you have kept my new commandment that you love one another even as I have loved you. I am telling you in advance about these things so that, when your hour comes, as mine now has, you may be strengthened in the knowledge that all was known to me, and that my spirit shall be with you in all your sufferings for my sake and the gospel's. It was for this purpose that I have been talking so plainly to you from the very beginning. I have even warned you that a man’s foes may be those of his own household. 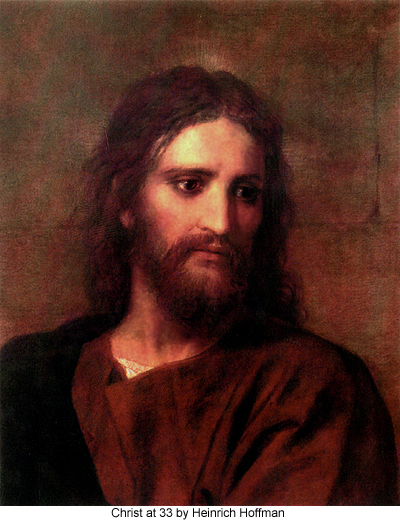 Although this gospel of the kingdom never fails to bring great peace to the soul of the individual believer, it will not bring peace on earth until man is willing to believe my teaching wholeheartedly and to establish the practice of doing the Father’s will as the chief purpose in living the mortal life.